Healdsburg CA real estate listings contain some of the most desirable homes for sale in Sonoma wine country. Healdsburg homes for sale include charming homes in the center of this delightful small city and luxury homes on vineyard properties. Healdsburg real estate offers wine country living at its best. Incorporated in 1867, Healdsburg CA is synonymous with Old California charm perfectly blended with modern, luxurious living. High-performing schools, art galleries, fine dining, and enchanting boutiques ring the town square. Outdoor concerts, Farm Trails, Art Trails, cooking classes, and wine tastings are among the things that keep Healdsburg residents near home, although they’re only twenty minutes from downtown Santa Rosa CA. Healdsburg is known for its many and varied antique shops and destination restaurants. Healdsburg outdoor recreation opportunities are close by. From travel along the picturesque back roads to picnics in Healdsburg’s many parks to road cycling, there’s something for every outdoor enthusiast. Avid cyclists participate in the Healdsburg Harvest Century Bicycle Tour held every July, and those with a taste for the unusual enjoy hot air balloon rides through the Healdsburg vineyards. The Russian River runs through Healdsburg. Visitors enjoy beaches, swimming, canoeing, and kayaking all the way from Healdsburg to the Pacific Coast. There they enjoy sightseeing, walking on the beach, whale watching, bird watching, and rock climbing. Dry Creek in Healdsburg CA is world famous for its ultra-premium and artisan wines. Healdsburg homes for sale range from affordable condos to multi-million dollar wine country estates. Homes for sale in Healdsburg CA are much sought-after. 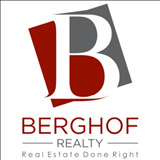 Ernest Berghof is the Healdsburg CA real estate expertand specializes in matching discriminating buyers with unique Healdsburg CA luxury estates.